Reuters A Chinese Naval submarine docks at the Ngong Shuen Chau Naval Base in Hong Kong. The head of US Pacific Command, Admiral Samuel Locklear, said the latest class of Chinese subs would be armed with a new ballistic missile with an estimated range of 4,000 nautical miles (7,500 kilometers). “This will give China its first credible sea-based nuclear deterrent, probably before the end of 2014,” Locklear told the Senate Armed Services Committee. Locklear said China’s submarine modernization effort was impressive. “I think they’ll have in the next decade or so a fairly well modernized force of probably 60 to 70 submarines which is a lot of submarines for a regional power,” he said. 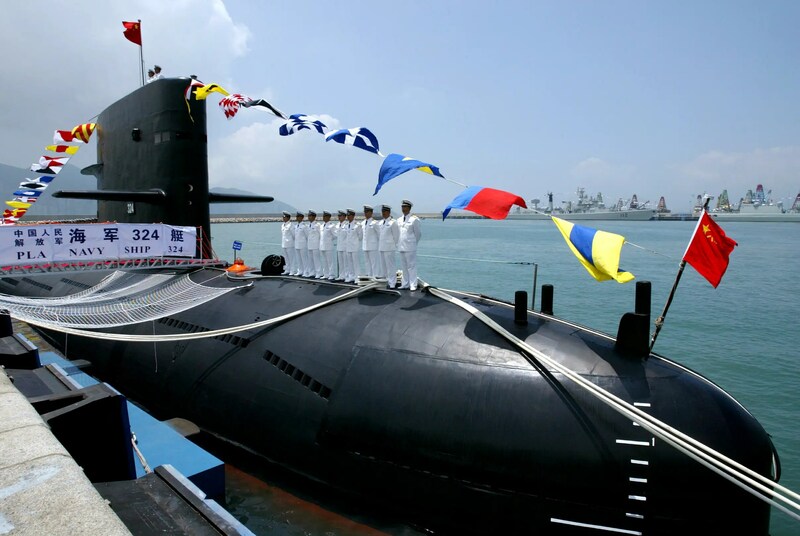 China now has five nuclear attack submarines, four nuclear ballistic missile submarines, and 53 diesel attack submarines, according to Jess Karotkin of the Office of Naval Intelligence.